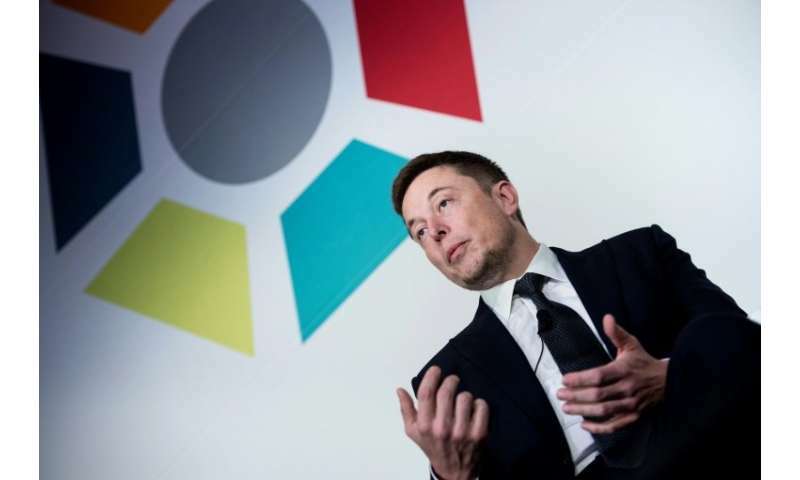 Musk's comments come amid a race by automakers and tech firms to roll out fully autonomous vehicles, but also rising concerns about the safety of robotic systems. Musk said the updated "Version 9" coming in August would help address a number of issues. "To date, Autopilot resources have rightly focused entirely on safety. With V9, we will begin to enable full self-driving features," he said. "It's super messed up that a Tesla crash resulting in a broken ankle is front page news and the (approximately) 40,000 people who died in US auto accidents alone in past year get almost no coverage," Musk said last month. In another fatal accident last year, Tesla's Autopilot failed to detect a truck crossing the road, but investigators pointed out the driver was watching a movie at the time and not paying attention with the semi-autonomous system in operation. His semi-autonomous software doesn't work right yet. This whole autonomy rush is going to get lots of people killed. The tech isn't good enough. "With V9 we will begin to enable full self-driving features." This is Musk's actual statement, which is much more limited than the headline suggesting that Version 9 will have full autonomy in August. I'm looking forward to having a fully autonomous car, but I'll need to wait a while beyond August. good, put 'm on the road , start killing people , that will end it ,, or ? up the propaganda 'humans are worse '' . Now why on earth would the insurance companies let that happen?? Snoosebaum, have you ever spoken to a therapist of psychologist about your paranoid tendencies? PTTG , ever watch CNN ? "By the IIHS yardstick, the Autopilot Tesla is more than three times as dangerous as a typical passenger vehicle, even with all the advantages cited above. Using the latest Autopilot numbers—2 driver fatalities, 222 million miles driven—the fatality rate is one per 111 million miles. That's almost four times worse than IIHS's average for passenger cars. But don't forget: the Autopilot crash sample size remains so low that the one-per-111 million number is almost meaningless." good, put 'm on the road , start killing people , that will end it ,, or ? It will kill people - but the real question is: will it kill more people per person/km traveled than not having it? Arguing on the level of: "A surgical operation has resulted in a death. Oh noes - let's never have any surgical operations ever again!" is just stupid. It's like the people complaining that an EV can catch fire - when EVs have caught fire on average every 120 million miles traveled...vs. 1 fire every 20 million miles for gasoline powered cars. Yes: cars shouldn't catch fire at all - but looking at the numbers (if I was scared of cars catching fire that is) I'd rather sit in an EV. No it does not. Find an article on the preliminary results of the NTSB investigation into the crash earlier this year. The NTSB has found that the car SPED UP when it was approaching the barrier that it crashed into. When even a partially autonomous vehicle speeds up approaching a clearly non-moving object, the software simply does not work right no matter how you spin it or even if you think Musk is a stable genius. If you also care to do your research, there are several instances this year where autopiloted Teslas have crashed into emergency vehicles. One, a parked Police car; two, a fire truck and the Tesla was doing 65 MPH. Nothing will change the fact that there is something wrong with that software, and Musk is just racing to be the first to have it on the road in the vehicles he produces. He could care less about the safety of the people who drive his vehicles. @wyosaya: The current software has a glitch which allowed the car to crash into the barrier WHEN THE DRIVER WAS NOT PAYING ATTENTION. The current software is not fully autonomous Level 5 and the company makes it abundantly clear that the driver is expected to have hands on the wheel and eyes on the road. The software is constantly being improved, and this glitch will surely be corrected (as will many others) before Tesla declares that Autopilot is Level 5 autonomous.